FASH 2016 or European Fashion Award is organized every year by The Stiftung der Deutschen Bekleidungsindustrie for talented design students of all disciplines, but especially from the fashion and textile design areas. The European Fashion Award have been conducted on regular basis since 2010 depending on the willingness of the candidates to participate. This is the 7th European Fashion Award for which the Registration deadline is August 31, 2015. How can fashion react to all these changes? Should there be more adaptation, subversive strategies, or should we dream completely new dreams? Who will ride the wave of change and claim the future? Final projects, theses and dissertations, as well as bachelor and masters projects can also be submitted if they correspond to the task and were created in 2015. A sponsor for Non-European candidates is highly suggested. Professional media work, incl. an own microsite on www.sdbi.de. Participants are required to be present in person at the award ceremony if they are selected as a winner, including preparation and post processing. 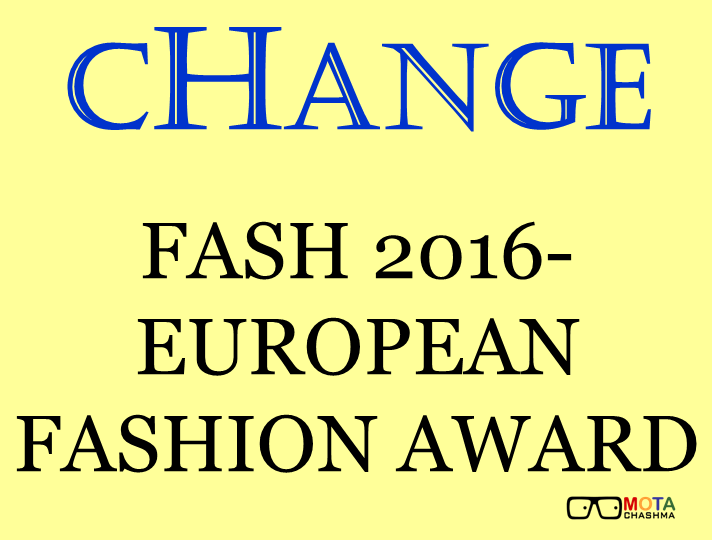 The European Fashion Award FASH 2016 will be presented in two categories. Overnight stays will be reimbursed with a flat fee of 400 Euros for single persons and up to 800 Euros for groups. Candidates can submit their works either individually, interdisciplinary teams or in association with companies.The European Fashion Award – FASH 2016 is divided into two categories Students and Graduates. Note: In case of team or Groups containing students from the fourth semester and higher, you can also include younger students. Every year close to 100 projects are entered into the competition for the European Fashion Award. Hence, try to present your project in such a way that the jury can quickly get a favorable impression of it. In order for the jury to evaluate your project accordingly, you must maintain the following standards. Registration: Candidates have to fill in the Application form online available at the official website before August 31, 2015. Individual students/designers may ask for help from other contributors, such as colleagues from other areas of study for segments of the project such as text, graphics, photos, etc. Participants will be notified in October.